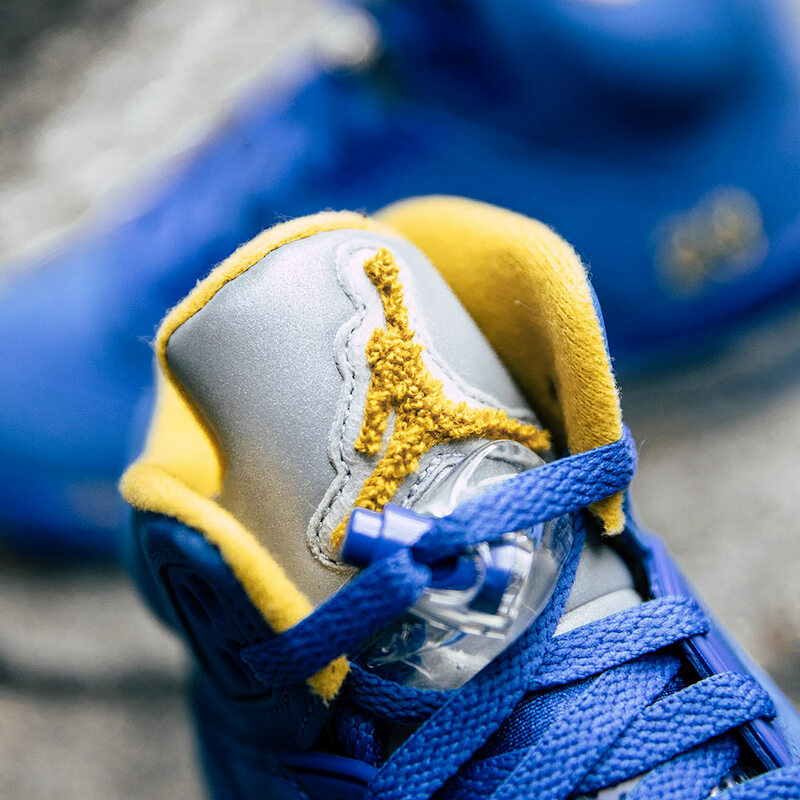 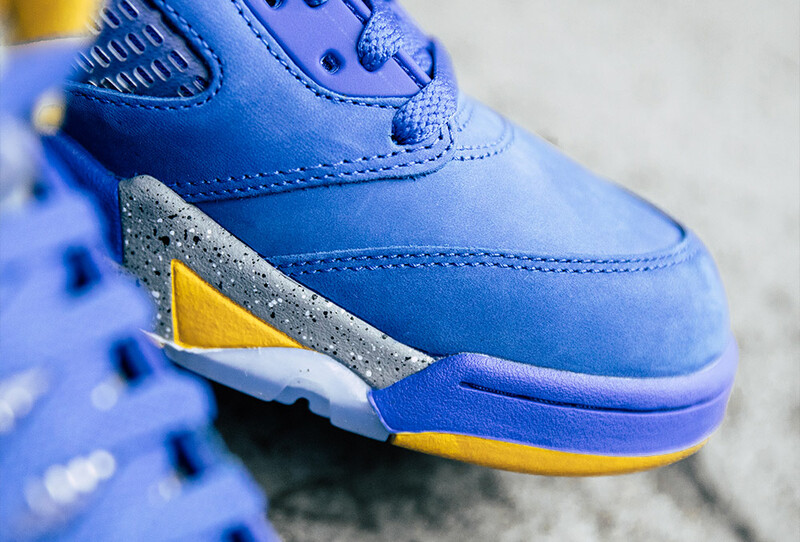 Jordan Brand revisits the iconic Air Jordan Vs story of Michael Jordan’s Laney High School colours. 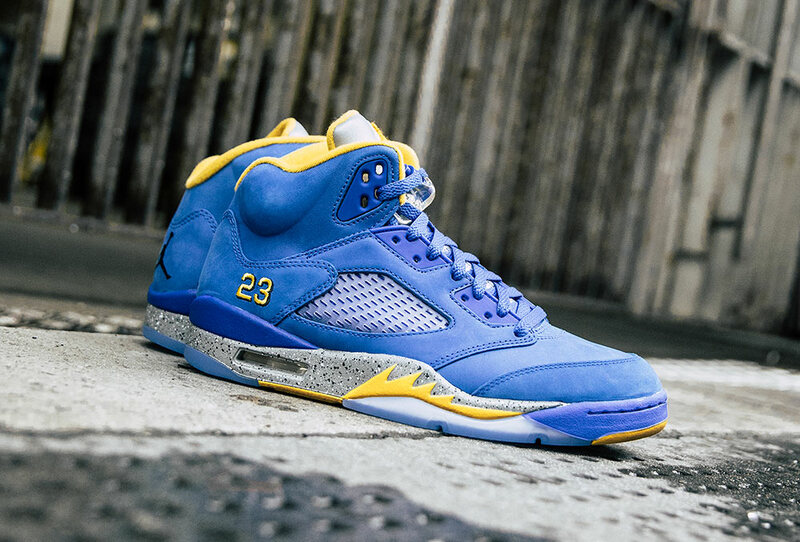 Initially, released in 2000, the Air Jordan V ‘Laney’ dons the colours of his high school basketball uniforms through predominantly white with hits of maize and royal. 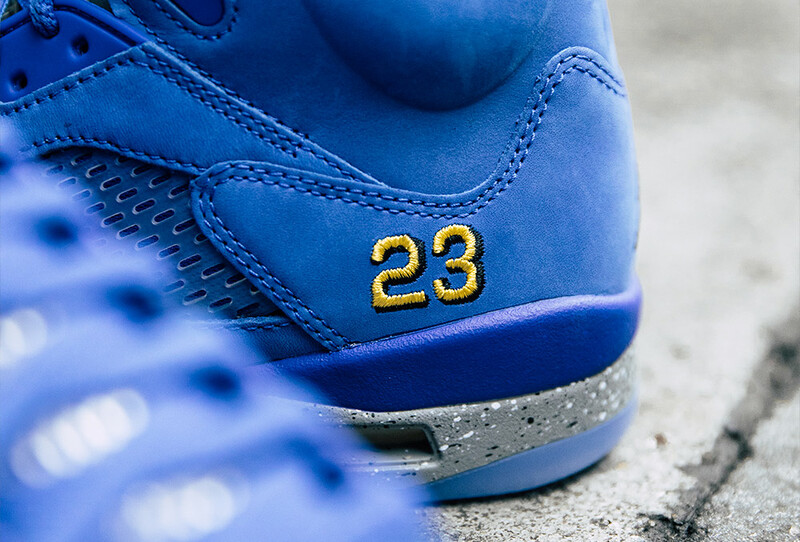 To pay tribute to his high school years once again, Jordan Brand have switched the colours in a reverse feat through royal being the dominating colours in suede as opposed to the initial leather. 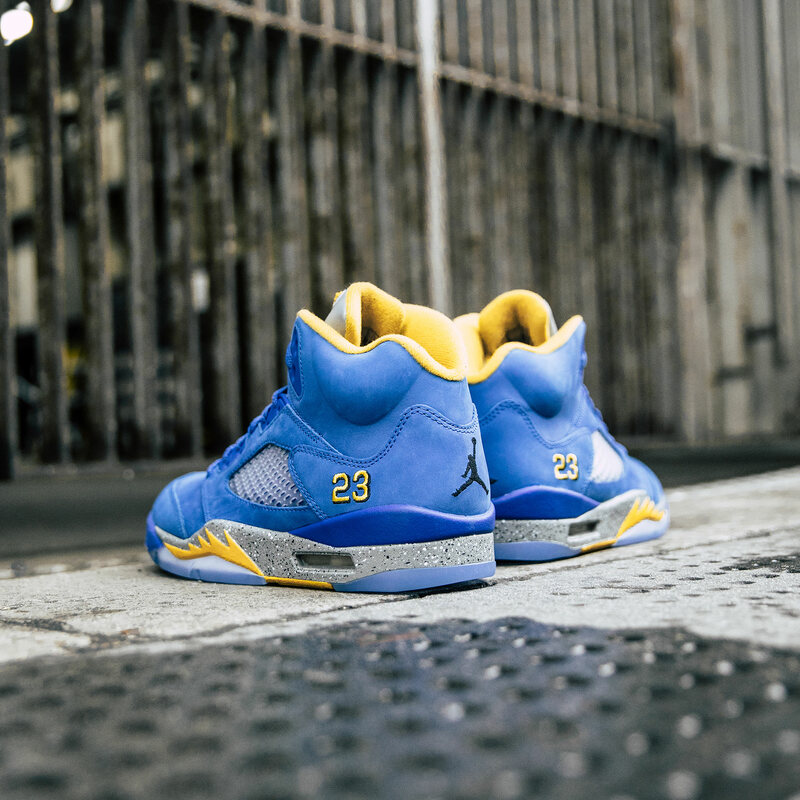 Varsity maize detailing features along the lining, ’23’ branding, outsole and the shark teeth. 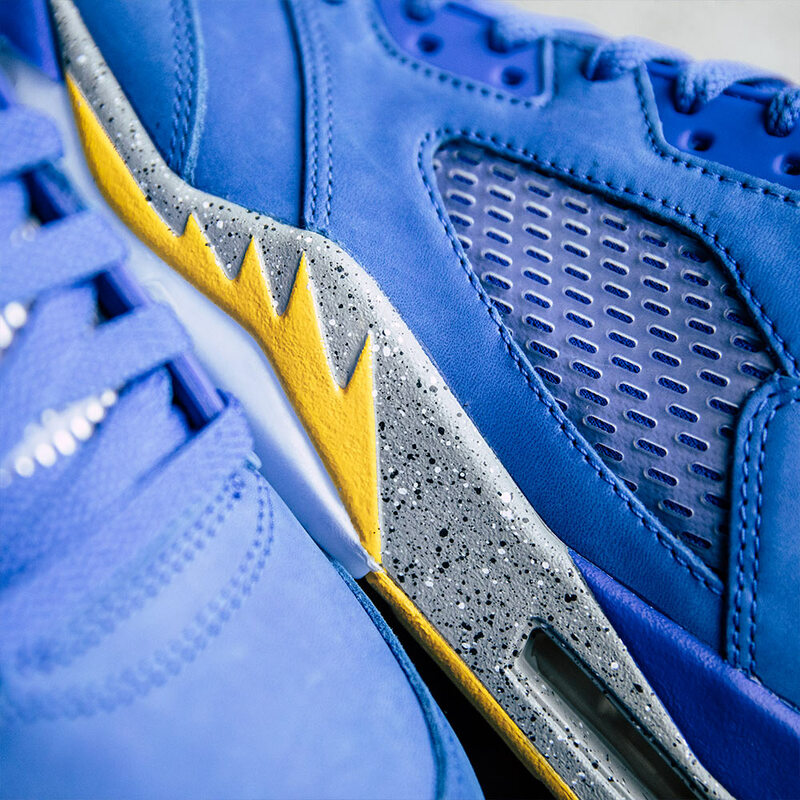 Grey speckled midsole breaks up the energetic theme as well as the signature reflective tongue and an ice blue outsole finishes the new design. 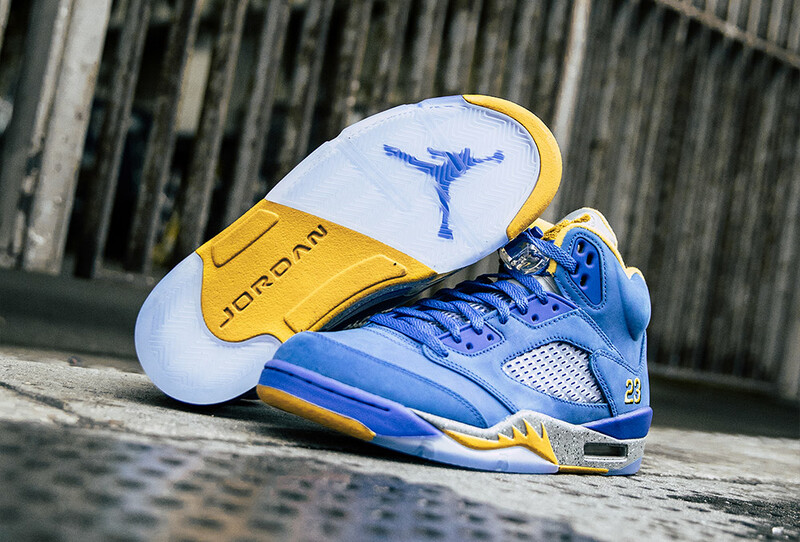 Air Jordan V ‘Varsity Royal/Varsity Maize’ | Now available in-store and online. 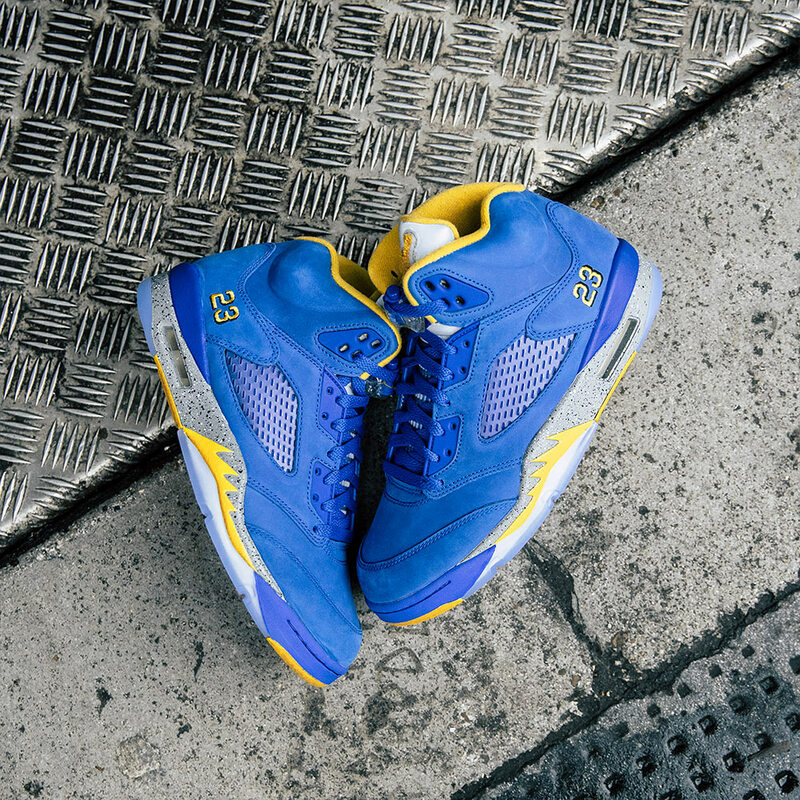 Sizes range from UK6 – UK14 (including half sizes), priced at £165.